Smart Speaker Controls The Routine. 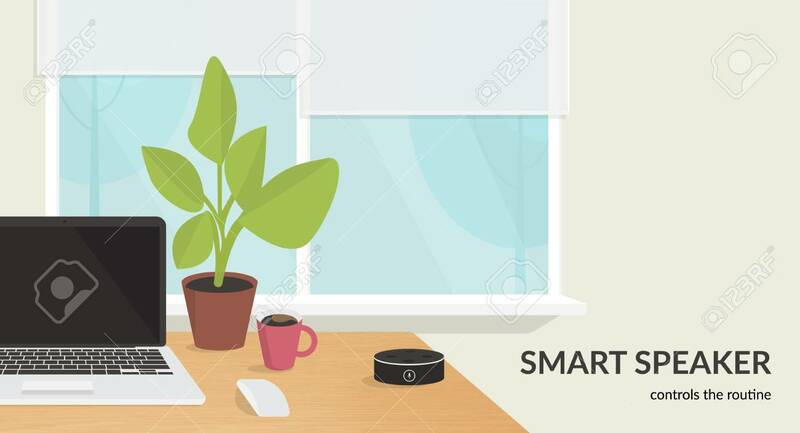 Flat Vector Illustration For Mockup Design Of Black Home Smart Speaker With Integrated Virtual Assistant At The Workdesk With Laptop In The Room Interior Lizenzfrei Nutzbare Vektorgrafiken, Clip Arts, Illustrationen. Image 111012219.